Live video, also known as livestreaming, is the act of broadcasting live over the internet to viewers who tune in and watch in real time from a hosting website. Live video was once relegated to large companies and grand scheduled events, but today, more and more businesses are learning how to use live video on a smaller scale to interact with customers and increase engagement. Livestreaming is a phenomenal way to draw an audience’s attention, keep them thinking about you, and encourage conversions such as sales. If you’re curious about starting some live video broadcasts or improving your current live broadcasting strategy, study our six tips below. The majority of unprepared and under-planned livestreams get few to no viewers, a natural consequence of high competition and lack of easy advertising avenues. Think of live video as both a marketing tool and a valuable part of your brand image that also needs marketing. In the beginning, you’ll need to create some form of advertising that helps people understand what your livestream is going to be about, when it will be, and why they should attend. Don’t rely solely on random visitors who appear while your broadcast is online. Once you have an audience you can expect will tune in, you need to have a great idea for what to broadcast so that you can clearly tell viewers what to expect and get them interested. No real limits exist, and you don’t have to use 100 percent live, original video. For example, many TV networks feature their own livestreams where they play marathons of older shows that depart from their traditional schedules with scheduled breaks between programs where live hosts answer viewers’ questions or chat about the show. The natural audience, in these cases, encompasses fans of the show, and the companies maintain their relationships with an older customer base. Of course, the type of business and brand you have will determine what types of ideas are worth trying, but it’s important to select something that was proven to interest your viewers. Approaching an audience that you already have, such as a newsletter list, is a great way of gauging interest and pre-marketing your livestream ideas. Come up with the best three or more ideas you have and see what wins in a poll. Once you have your idea, you’ll need to outline exactly how the broadcast is going to proceed, with an exact schedule for what happens at what time. A full script is not necessarily needed. You’ll come across as more human and relatable if things feel unscripted and a little spontaneous. In addition to a general plan, you should have a few backup branches included. For example, if you have a part where you want to take questions for five minutes, but you don’t have enough questions at that time, you should prepare something else, such as a brief overview of frequently asked questions to answer. 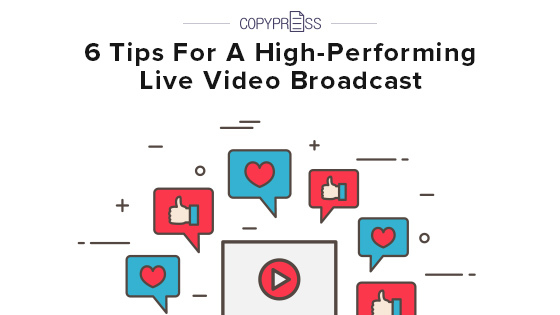 Much of the spontaneity in live video comes from the visitors and the nature of technology, so have plans in case technical difficulties or the luck of the draw get in the way. Once you have your plan figured out, rehearse with your talent at least a few times so that everyone feels comfortable and familiar with the tasks. If you are new to livestreaming, make sure that you don’t broadcast for more than five hours. Keep the production on a smaller scale and focused around a singular goal, such as a presentation. This approach will make rehearsal easier and reduce the risk of mistakes from fatigue. Live video is a powerful customer education tool, but usually people do not watch livestreams to learn, except in a few unique cases. Even if you are basing your broadcast around a presentation full of special information, you should keep the topic interesting and allow your audience to identify with your speaker and message. Testimonials from customers, the speaker’s personal history, or a few light jokes can all go a long way toward spicing up the material. Find opportunities and identify the exact type of impression you want to give to your audience to coincide with your brand image. Do you want to be funny and charming, encouraging, outrageous, or something completely distinct? 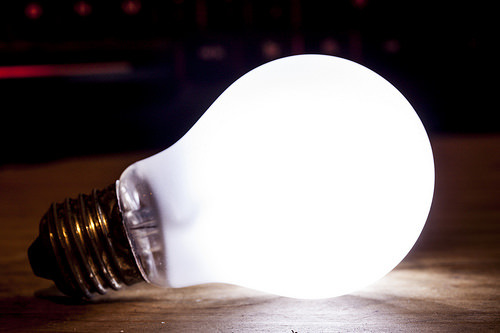 Once you narrow down that goal, you should figure out some good ways to stay interesting. Live video should increase some type of performance indicator, such as sales of a product or subscriptions to a social media page. If you are doing a shorter broadcast of only one or two hours, save your call to action for the end, since you have a lower chance of people leaving your broadcast halfway through it. On the other hand, broadcasts of three hours or more will likely have some people jumping in and out. Everyone is busy after all, so you should carefully sprinkle your calls to action throughout those longer streams, from about the halfway point and onward to the end. Incentives are particularly valuable if your goal is to earn sales. As a thank you to those who signed on with you, you could activate a temporary discount based on a promo code you give during the stream, which no longer applies after the end of the day. You could also play a longer game by recording and distributing a replay to a list of subscribers, mentioning the deal to them several times through a short period where it is available, such as one week. Even if you aren’t aiming to earn revenue, you can offer incentives for other actions, such as subscribing to your Facebook page if you are going live on that website. To inspire subscriptions, you could say that those who join and post to introduce themselves will receive some type of free gift that would appeal to them. Video is an extremely powerful medium for content marketing, but you shouldn’t ignore the potential of live video as well. While it may seem like a completely different arena, many of the principles are the same, and it has strong potential to strengthen bonds with a prequalified group of customers and followers. Whatever type of media you use to draw in traffic and build your customer base, consider using livestreaming as a way to get the most out of those relationships.